← My name is Natasha and I like birds! Merriam-Webster defines the term boondocks as “a rough country filled with dense brush.” The word is used as Boondocking in RV terminology, and describes remote camping in rural areas. Other terms for boondocking are: dispersed camping, dry camping or coyote camping (I like that last one). But boondocking’s definition can get a little fuzzy since some call camping overnight in a Walmart parking lot boondocking! 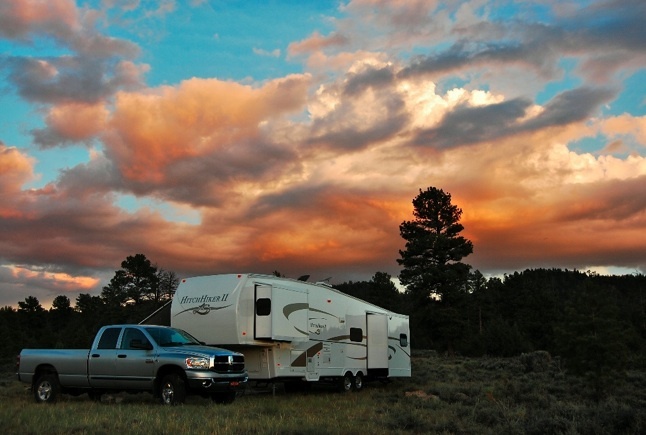 There is one thing in common with all definitions of boondocking though, there are no hook-ups involved, meaning no water, electricity or sewage for your RV. Recently I started working on a list of all the National Parks that provide RV camping and some of the particulars of each, like RV size restrictions, do they provide hook-ups, and what are the camping fees. What I have found so far is that the vast majority of National Parks do not provide hook-ups at all, no water, electricity or sewage for RVs. So if we define boondocking as camping in an RV with no hook-ups then you could call yourself a boondocker while camping in a National Park. That does not sound at all like coyote camping! What is a good definition of boondocking? From what I have been reading there is a rather heated discussion about RV boondocking and what exactly it is. But I don’t see much use in entering such a discussion; I’ll leave that to others. Instead I will just go ahead and state what I think it is! I’m going with this – boondocking is camping in Wild Places and Open Spaces off the grid! How about that? So why do we want to boondock? Isn’t being in National Parks and State Parks enough? Well we do plan to spend as much time in the National Parks as possible, but we also wish to get out and off the beaten path. This is why we are looking at reasonably sized fifth wheels and a truck that can pull it wherever we wish. We also are on a limited budget and cannot afford to be paying $35-$50/night at RV parks with full hook-ups, and even National Parks with no hook-ups charge $15-$30/night. So in our definition of boondocking there will be no charge, true free living (well minus the cost and depreciation of the fifth wheel, the truck, diesel fuel, propane, and so on!). This is our idea of Boondocking. My next post will be about using solar power while boondocking and off the grid, very interesting topic! Annie and Taylor – Thanks for sharing your blog post! We are headed South now to spend a month in the Keys. We look forward to the Everglades, the stars, and the fruit stand sounds delicious! We have seen folks boondocking in the UP of Mich. They were off a remote Forest Service road next to a creek. Pretty nice. Seems the term “boondocking” is as subject to as much interpretation as the word camping.